Harry Arter's season-long loan has been confirmed. 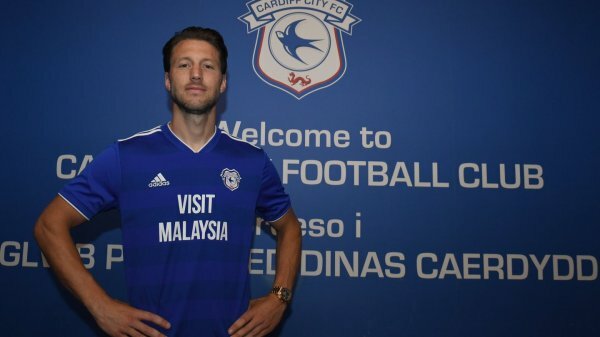 Arter joins Cardiff City from Bournemouth (who Cardiff face on Saurday - but he will be ineligable). The medical has been completed, the paperwork tidied up and the deal has been confirmed. Arter has played over 230 times for Bournemouth and has 13 caps for the Republic of Ireland. He becomes the second midfielder to join the club today after the earlier arrival of Victor Camarasa. All of a sudden things in the middle of the park are looking far better with the experience and quality of the two new signings. Arter started the day training at Bournemouth before heading to Cardiff. Watford tried to hi-jack the deal during the day but after arriving around 4pm a deal was struck and after a slight delay (allowed under deadline day rules) the signing was confirmed around 6:30pm.